A New Jersey veterinarian has successfully been recertified as a diplomate in bird care. Kenneth D. Dazen, DVM, is remaining a Diplomate of the American Board of Veterinary Practitioners (ABVP) specializing in avian practice. Every 10 years, diplomates must take and pass an examination in order to maintain the certiﬁcation. This process demonstrates they have kept up with changes and advancements in veterinary practice. 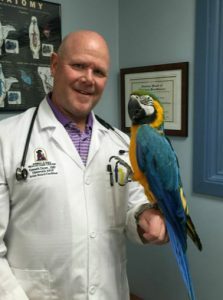 Dr. Dazen is one of 135 diplomates specializing in avian practice. He has practiced at the Animal and Bird Health Care Center in Cherry Hill, N.J., for nearly 30 years. Dazen first became a diplomate of the ABVP in 2000.